Storage drawer for spare boards and cutters. 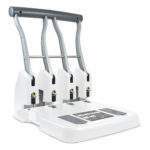 The ECO P4400 Heavy Duty 4-Hole Punch, effortlessly tackling heavy duty hole punching tasks. 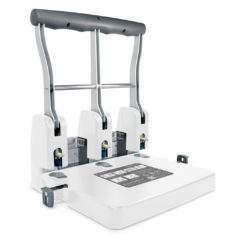 Manufactured from a high level of recycled plastic (handle and base cover) and available in an attractive soft white finish. For large, repetitive punching tasks nothing beats the Rapesco range of Heavy Duty Power Punches. 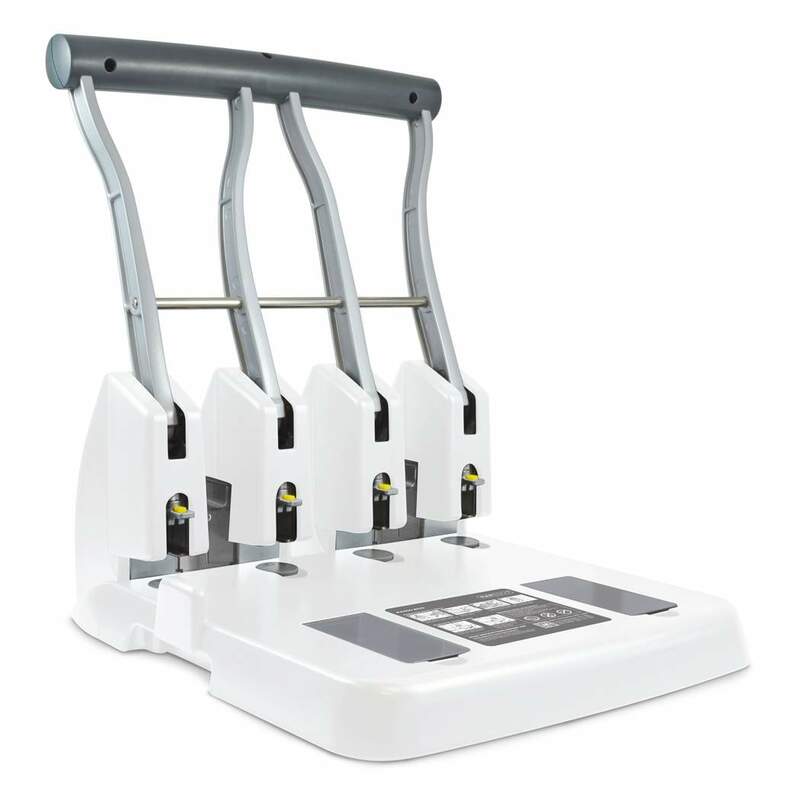 The ECO P4400 incorporates Hollow Punch Technology and clever engineering to deliver crisp, clean and effortless 4-hole punching of up to 150 sheets (80gsm) time after time. Feature rich, this punch features an extended handle to ensure ease of use and maximum leverage (do ensure to use both hands when punching). The neat and compact confetti draws keep confetti neatly out of the way and ensures simple disposal. 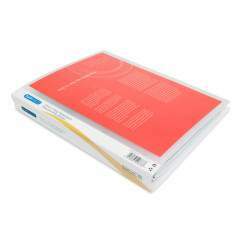 Changing the punching boards and cutters is advised to ensure maximum performance and doing so is quick and easy. Spare punching boards and cutters are always at hand in the convenient storage compartment. 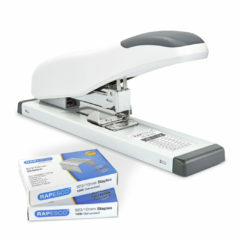 The ECO P4400 uses Rapesco Punching Cutters 0281 and 0282 Punching Boards. Combining skillful design and high levels of precision in production, the ECO P4400 achieves massive punching power with little user effort time after time. 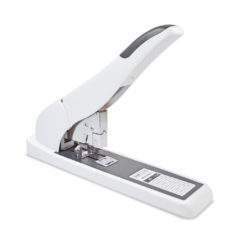 Manufactured from high quality materials to exacting standards, the P4400 is a Heavy Duty hole punch that is built to perform again and again and is backed by our 15 year guarantee.